Kim Kardashian is reportedly worried her mother is moving on too fast. Kim Kardashian is reportedly worried her mother is moving on too fast. Kris Jenner announced her split from husband of 23 years Bruce Jenner in October 2013. And her 34-year-old daughter apparently thinks she’s not ready for the ins and outs of dating just yet. 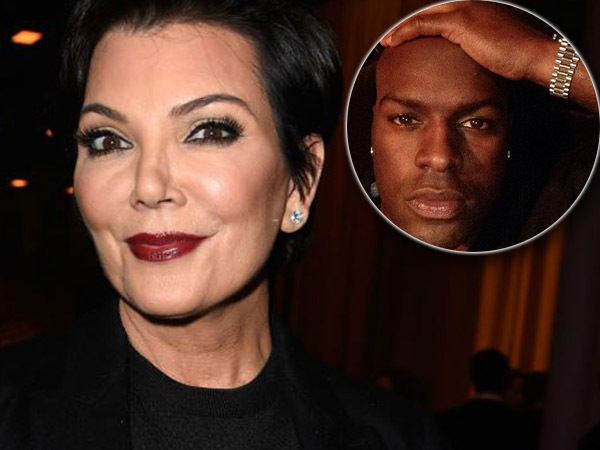 The Kardashian matriarch was spotted enjoying a cosy dinner with Justin Bieber’s co-manager Corey Gamble last week. She then took him along to Kim’s 34th birthday party Friday night. “She thinks Kris is acting a bit impulsively,” the insider added. Kris is said to have given her new friend a ride on a private jet to Las Vegas, where the party was held. Apparently once there, they spent time getting to know each other. “During the party they were dancing and at times in deep conversation while Kris looked like she was a school girl in love,” revealed the magazine’s source. However, others claim that the pair are still just in the early stages and are not yet an item. The new alliance is said to be “not serious”. "I wouldn't say they're dating yet," a source told gossip website TMZ. Meanwhile, Bruce is rumoured to be dating Kris’ good friend and former assistant Ronda Kamihira. Kris went on a press tour last week and declared numerous times she wasn’t fased by rumours of Bruce’s love life. “I don't care who he goes out with,” she assured the audience on America’s The Today Show on October 20. Prior to Bruce, Kris was married to Robert Kardashian, the father of her children Kourtney, Kim, Khloé and Rob.